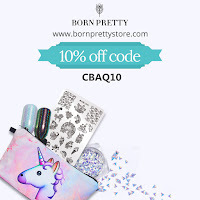 I'm still trying to work out if this is a fail or not. 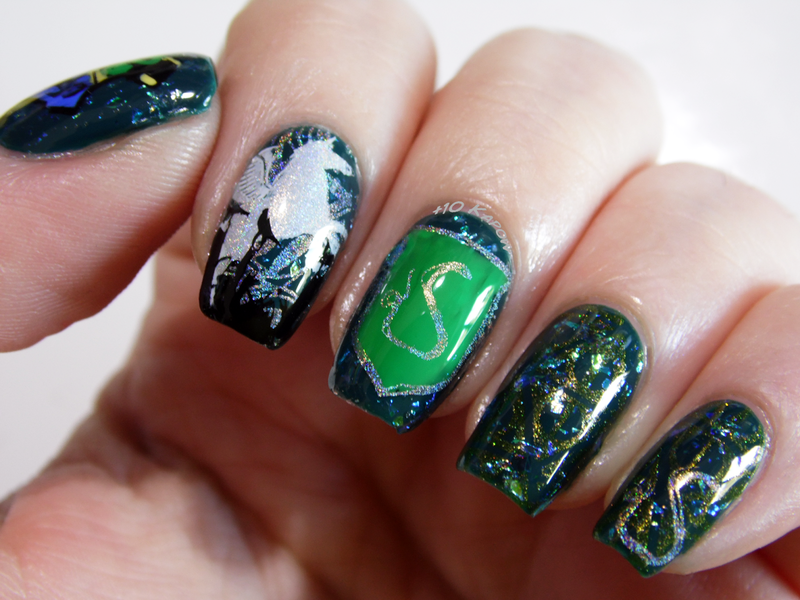 I haven't done Slytherin nails before and being Slytherin, it had to be rectified. I think I might have piled too much into this one mani but there are elements that I really like. 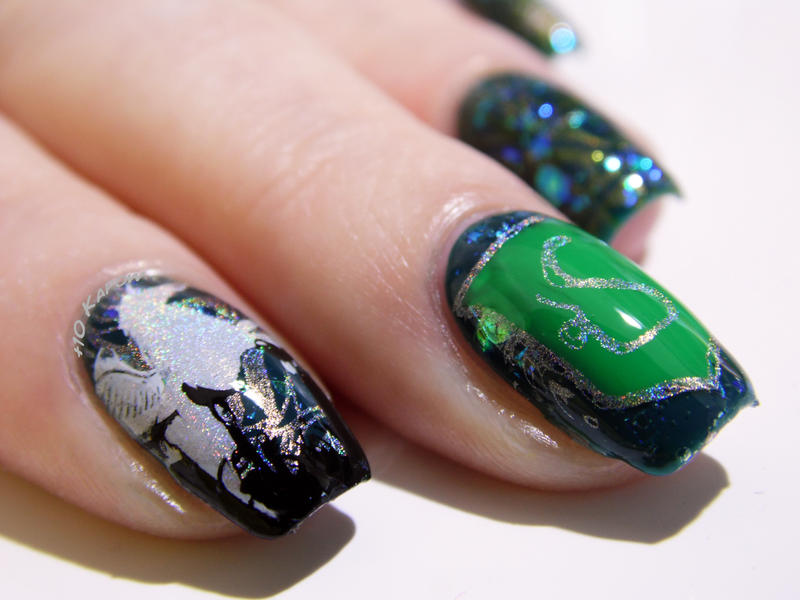 I used hehe Harry Potter stamping plates and some Bundle Monster plates for the Unicorn Patronus nails. 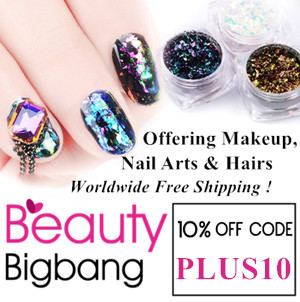 Polishes used: Barry M Gelly Watermelon, Ciate Snow Globe, KBShimmer PT Young Thing, Barry M Spring Green and A-England Holy Grail. 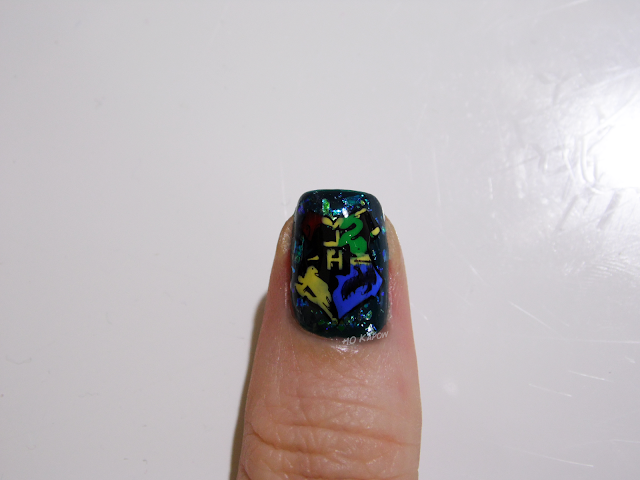 Like my red Harry Potter nails from last year, I popped the Hogwarts crest on my thumb, it doesn't quite stand out as nicely against the green. 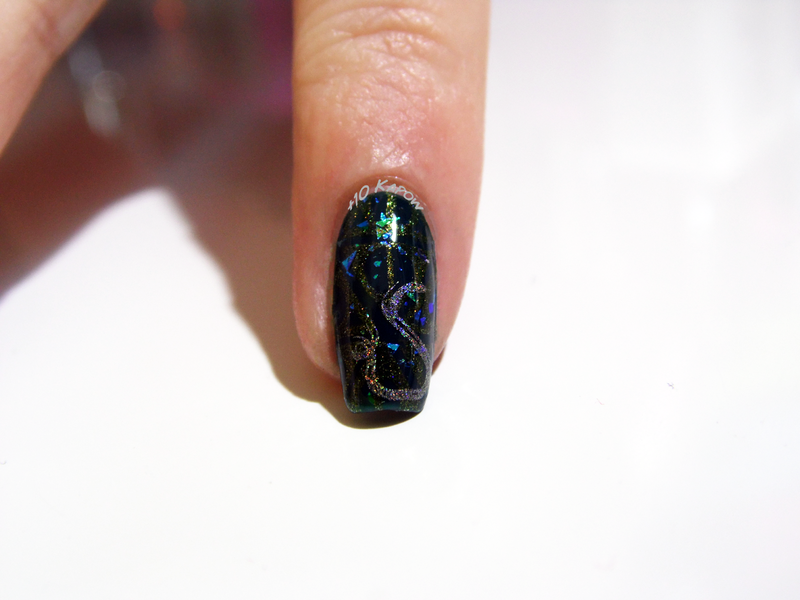 My pinkie is my favourite, I love that you can only see the Deathly Hallows symbols in certain light because of how the gold stands out against the green and the flakies. Have you been on Pottermore lately to find out your Ilvermorny house? I got Horned Serpent, so that's 2 snake houses I belong to now which is awesome! 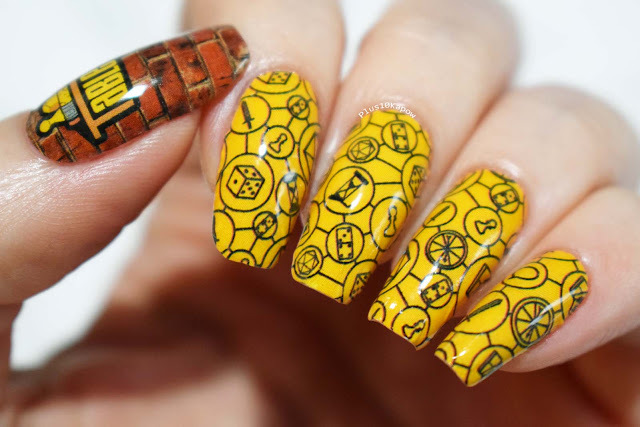 Have you repped your house on your nails?